Use this fun ocean-themed worksheet to review the lowercase letters of the alphabet with your students. Kindergarteners will enjoy drawing in the missing letter on the different fish! Use this fun farm-themed worksheet to review the uppercase letters of the alphabet with your students. 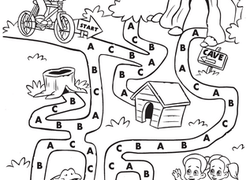 Reinforce your child's knowledge of the alphabet in a very fun dot-to-dot exercise. 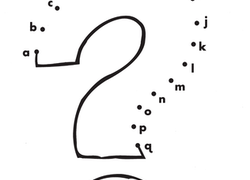 What does this quizzical dot-to-dot form? Connect the dots from the letter A to letter Q to find out!